The famed Statue of Liberty will reopen on July 4, 201, according to Interior Secretary ken Salazar and New York Senator Charles Schumer. The Statue of Liberty National Monument and the Ellis Island Immigration Museum are important pieces of American history and icons of freedom around the world. Liberty Island closed on October 29, 2012 due toHurricane Sandy, but it will open again symbolically on the day the America declared its independence. “We are looking forward to putting our crew back to work carrying visitors to the world’s greatest symbol of liberty—with an enhanced visitor experience and reduced wait times. 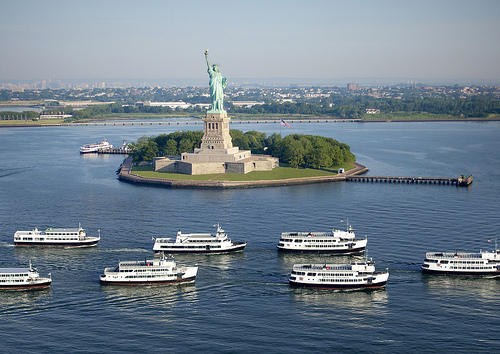 Until that date, we offer a great cruise to Lady Liberty, with uniformed rangers on board,” says Statue Cruises CEO/Founder Terry MacRae. Statue Cruises, the official concessioner to the National Park Service, is the premier harbor cruise operator in New York harbor. In anticipation of the reopening, Statue Cruises is expanding its daily Statue of Liberty Harbor Tours, giving visitors more opportunities to enjoy the closest views of the statue until the official opening date. With up to 20 departures a day, the tours provide flexibility for visitors. More than four million visitors from around the world experience the closest possible views of famed New York City landmarks annually. 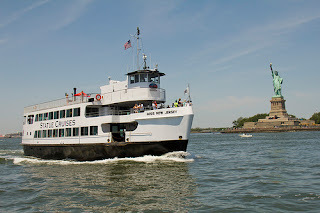 Hour-long tours depart from Battery Park at the foot of Manhattan every 30 minutes, seven days a week, according to Elizabeth Carmody of Statue Cruises. · The statue was dedicated on October 28, 1886, with a restoration project completed in 1986. 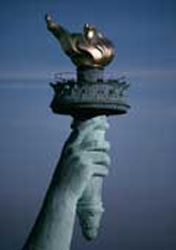 · The entire statue is 305.5 feet tall, with Lady Liberty reaching 111.5 feet high.